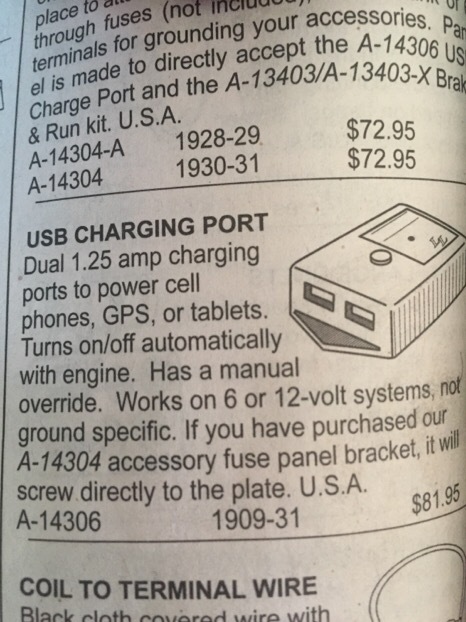 Model T Ford Forum: Phone charging from a six volt system? Phone charging from a six volt system? 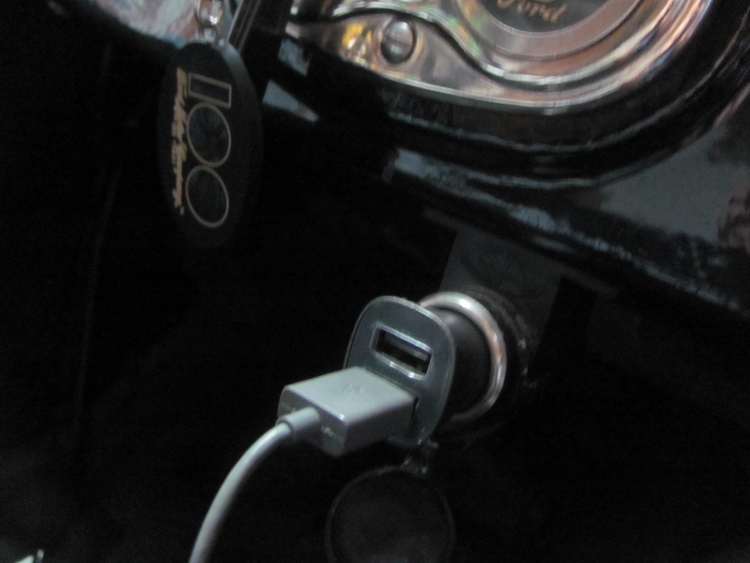 Model T Ford Forum: Forum 2018: Phone charging from a six volt system? 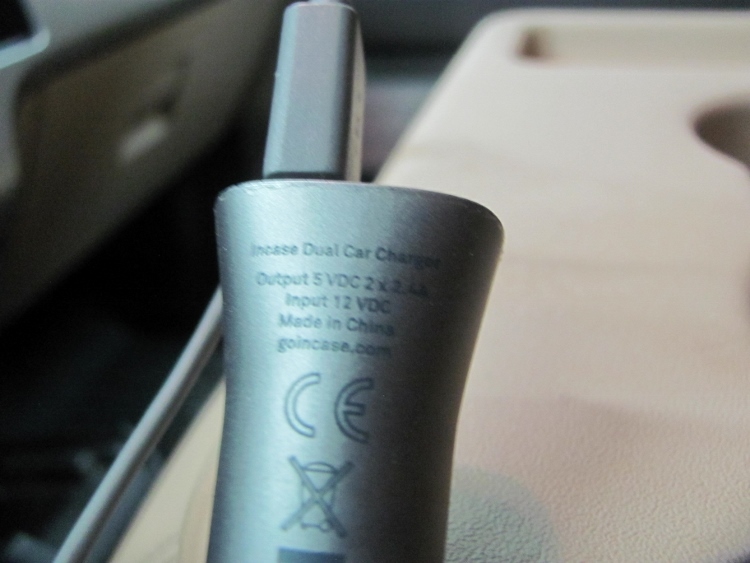 Phone chargers that plug into a car's "lighter" outlet are made to take twelve volts. 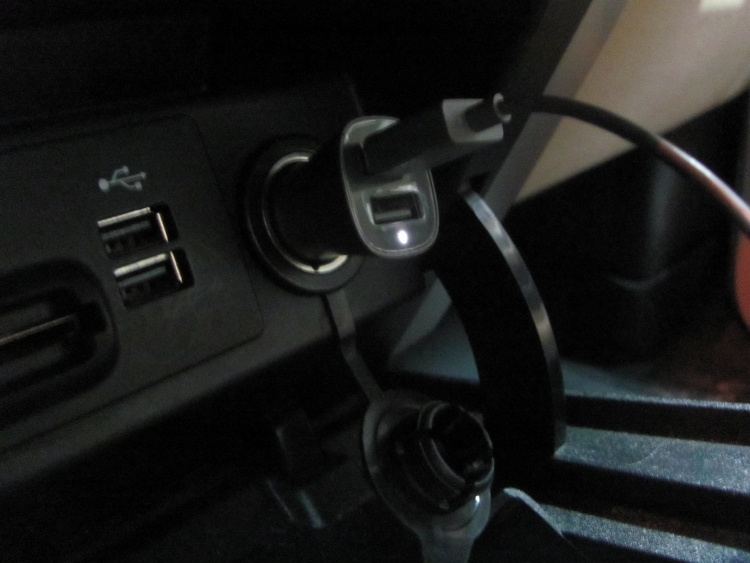 I'm guessing the best way to approach charging from a six volt system (as in Model T) would be to install an outlet fed by a 6 volt to 12 volt converter. 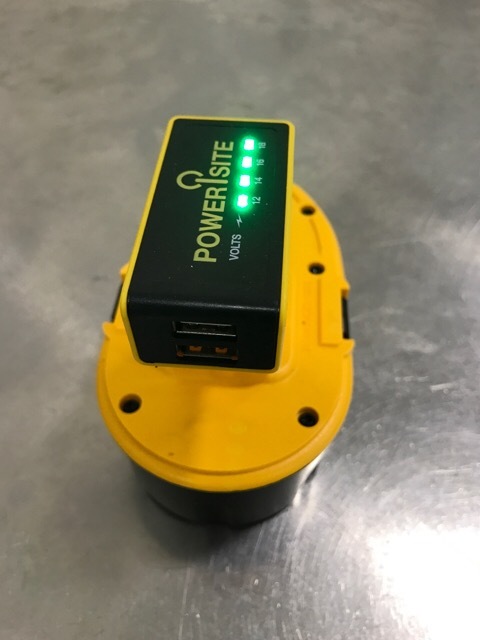 Peak voltage for a LiPo battery is under 5V so you may just be able to adapt a cigarette lighter plug to your 6V system and let the built-in voltage regulator of the plug in charger do the rest. Look at your charger. The output is probably 5V, so your T output should be fine. Yes the output is 5.0 volts. But the input is supposed to be 12 volts. Will 6 volts going into the same charger also put out 5 volts? 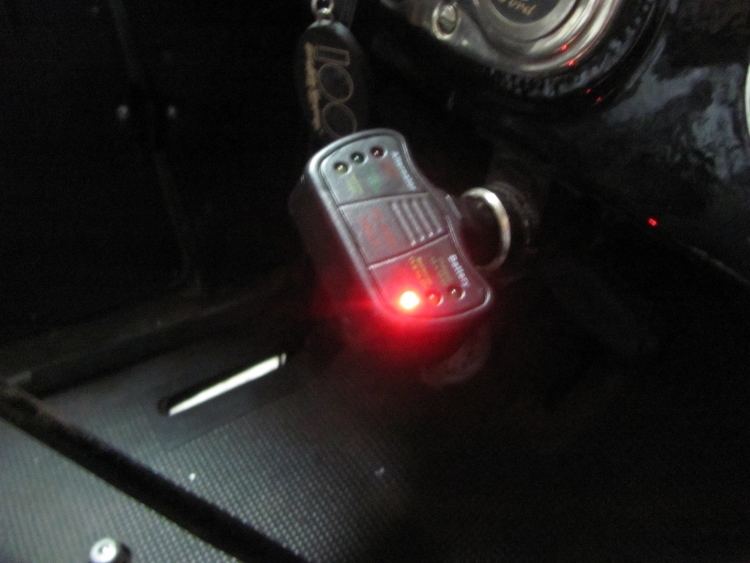 Steve, we installed a female power �cigarette � plug on both of our Ts with 6volt systems. Both work very well to charge the phone or the gps. Jerry, do you use a 12 volt charger? I guess what I'm asking is whether 6 volts instead of 12-24 going into this will still put out 5 volts for charging. Or do I need to convert the 6 volt input to 12 for the charger to work properly? See this thread. 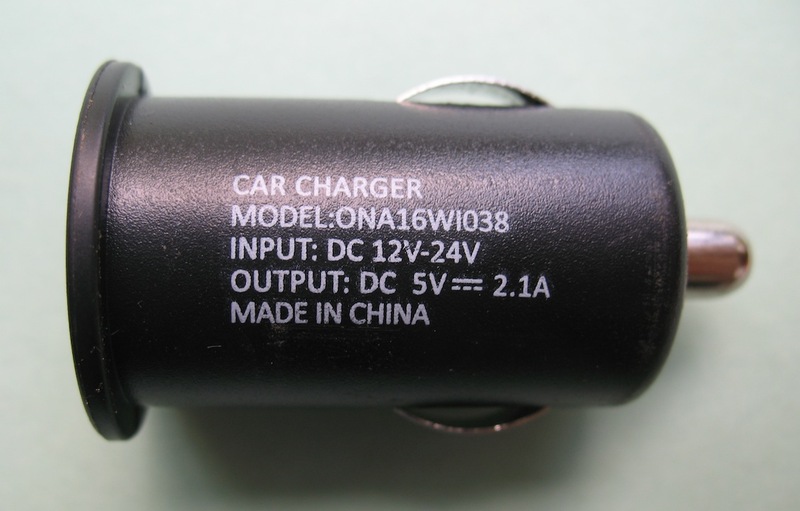 I believe you can run a 12-24V cigarette adapter on 6V and it will step it down to the required 5V. I'm guessing that reason why the lower limit is listed as 12V is that no modern cars operate on a 6V system, not that 6V won't suffice. Could be just Apple 6 as mine won't charge on the T's 6v. Have used several different brands of cigarette charger devices and none will allow the my iPhone 6 to charge. 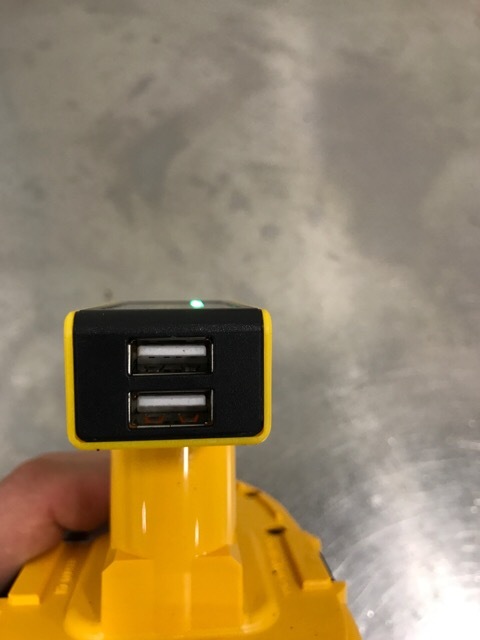 The charger's indicators lights don't ever light up, but there is 6v at the outlet. Test to be sure outlet in T has juice, the 12v plug in alternator/battery tester red light means less than 11.6v, but there is 6v hot there! 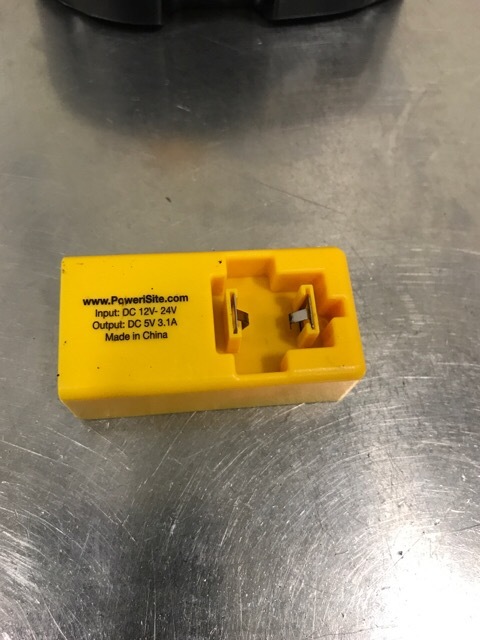 iPhone adapter shows green indicator ready, in 12v car outlet. Sounds like it's hit and miss. I guess I could install the 6v outlet and see what happens with the 12 volt charger in it. As navigator for a friend on a tour I brought my GPS and a 12 volt motorcycle battery. I charged it at night in the hotel room. I don't know anything about this but it's in the Model A section of Snyders catalog. 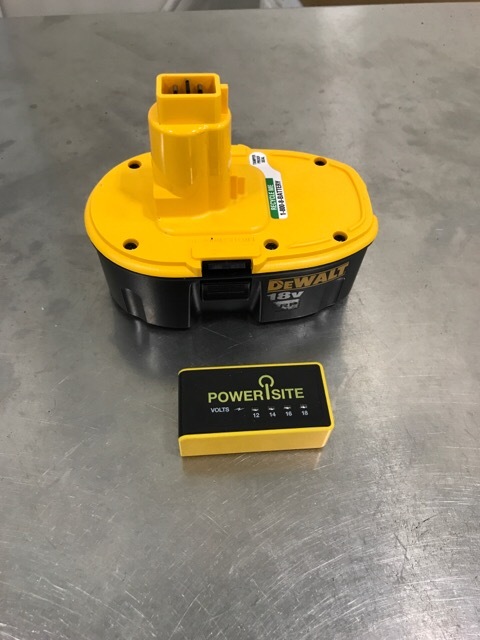 I have an adapter that is designed to attach to any 12, 14.4, or 18 volt Dewalt battery and charge any device via a USB connector. I have recharged my phone almost 3 times off of one Dewalt 18 volt battery before it needed to be recharged. You can get one off of Amazon. I got a Digiten converter (the first one Steve listed) to run 12 volt LED stop lights on my 6 volt Model A and it works great. There is a good chance it will work to charge a cell phone. Dan, it could be a current issue to your lighter socket. My 2007 VW will only charge my phone through certain plugs, other ones behave just like the one in your T.
I run a 8v Battery in my 24 coup. It will Charge my GPS and charge my iPhone with no problems. I think a strong 6 V battery should operate a cell phone. My phone will run for 3 days before I have to recharge it, so I have never had the need for in car charging in a T. I guess it depends on how much you use the thing. I bought a 6 to 12 volt convertor that was just a board off eBay about 3 years ago. Put it in a case and soldered my leads to it. Cost just a couple bucks, runs my Garmin just fine and will charge my phone. I can�t find them on eBay now but search eBay for 6-24V 12V/24V to 5V 3A CAR USB Charger Module DC Buck step down Converter DIY. They sell one now that has a USB connector built on the board. Takes some soldering but nothing exotic, and the price is right. Did you reverse polarity on the cigarette outlet? Don't count on a charger designed for 12V to work on 6V. It's generally a different architecture to have the output voltage close to the input voltage. I'd expect those cheap chargers to need a differential of at least something like 3 volts to work correctly.